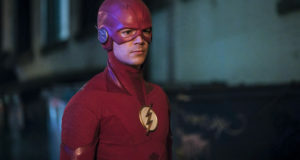 People has released a Flash promo trailer that includes clips from the next three episodes of the series. This new promo features our first look at the new Trickster (Devon Graye) as well as the old one (played by Mark Hamill, reprising his role from the original Flash TV series). It also features the new Weather Wizard (Liam McIntyre) using his powers, and our first look at Peyton List as Captain Cold’s sister, Lisa. 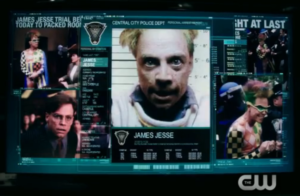 What’s especially cool is that the Trickster’s “file” includes stills from the original Flash TV series from 1990-1991. 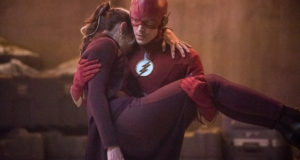 They also say the last five minutes of the March 17 return episode of The Flash will change the course of the show’s history. We are intrigued! Previous: Flash “Rogue Time” Description: The Tomorrow People’s Peyton List Guest Stars!